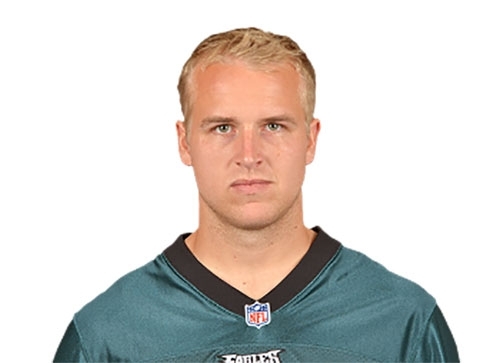 The Philadelphia Eagles traded backup quarterback Matt Barkley to the Arizona Cardinals today for a conditional 7th round pick in 2016. The Eagles will get the pick if Barkley remains on the roster for six games. Barkley was in competition with Tim Tebow for a third string quarterback position behind starter Sam Bradford and backup Mark Sanchez. Barkley was drafted by the Eagles in the 4th round of the 2013 draft out of USC. He played significant time in two NFL games for the Eagles, both in October 2013, following injuries to both Nick Foles and Michael Vick. This preseason he was was 27 of 52 for 351 yards with two interceptions and no touchdowns. Teams have until Saturday at 4 to cut the roster down to 53. Beginning Tuesday, September 8th at 12:00 p.m. EDT, 10,000 tickets will be available to the public for the event with Pope Francis at Independence Mall on Saturday, September 26, 2015. Members of the public who wish to attend this Papal event are invited to visit the following URL to access event tickets beginning at the above date/time: www.worldmeeting2015.org/tickets. Tickets are on a first come, first-serve basis and individuals are limited to four tickets. Philadelphia District Attorney Seth Williams has decided that three staff prosecutors will not be fired but will receive sensitivity training after their names were connected to the recent release of pornographic e-mails sent amongst members of the state Attorney General's office. Williams released a lengthy statement explaining his investigative process and why he chose "awareness and education over termination." He says most of the 20 messages released were 5-6 years old. He also says that the prosecutors did not create or originate the messages but were just three out of hundreds of state employees on the e-mail chain, none of which were ever disciplined. Current Attorney General Kathleen Kane discovered the e-mails during an investigation into the handling of the Jerry Sandusky case. She petitioned to have them released in an effort to show that her current legal troubles were concocted by those who wanted to stop her from releasing the names. Read Williams' full statement below. I’ve looked at the e-mails released, and yes, like everyone else, I could see immediately that they are offensive. They contain numerous graphic images with captions that are derogatory towards women, a few that have racist connotations, and a smaller number with negative comments about gays. As the father of three daughters, as an African-American, as a law enforcement official, I was disappointed, and angry, that these messages were considered acceptable. As I began my review, I found that many people I talked to in the community over the last few weeks didn’t know all the facts – they assumed from press reports that hundreds of e-mails were released, and that they were generated by a small group of employees here in my office. I take my responsibilities in this situation with gravity. The easiest reaction would have been just to fire anyone named in the press, without any inquiry. Instead I assembled my senior staff, consisting of blacks and whites, women and men, and we carried out a thorough process to make sure I got all the information necessary to make serious decisions. In choosing what, if any, action to take, I considered my obligations. The first is to my conscience – to make the best decision possible. The second is to the citizens of Philadelphia – they deserve wise, well-reasoned actions by their elected officials, especially the chief law enforcement officer. The third is to the very hard-working women and men who seek justice every day as my colleagues in the District Attorney’s Office. Finally, I have an obligation to the subject individuals – to fair and individualized treatment. My process had several elements. The three employees in question – Pat Blessington, Marc Costanzo, and Frank Fina – were individually interviewed by a panel. We also questioned people they worked for, people they worked with, and people who worked for them, both in the District Attorney’s Office and in the Attorney General’s Office. We reviewed all e-mail communications still available from their time in my employment. We looked at the work of the Philadelphia investigating grand jury assigned to the “sting” case, which reviewed internal documents from the current attorney general’s office relating to charges of racism, and which heard testimony from employees of the current attorney general. I personally contacted and spoke with prosecutors and other elected officials around the country, with Fortune 500 executives, and with leaders of non-profits and community groups. We found that none of the e-mails in question were created or originated by these three employees, and none were circulated to or by them while employed in my office. The large majority of the released e-mails – there are 20 altogether – date from five to six years ago. They were part of address chains covering literally hundreds of employees in the Pennsylvania Attorney General’s Office, who received and radiated the same images in widening circles. None of those hundreds of employees – who were colleagues of the three prosecutors now working in my office – were ever disciplined for improper e-mail activity during the years in question, either by the previous or by the present attorney general. At least one AG employee, who served as a central hub for the e-mail distributions and who continued those activities even after the current AG took office, has actually been promoted and given a substantial raise. We found no evidence or suggestion of any inappropriate e-mail behavior by these three employees during their time to date in my office, but if we did I would certainly terminate them. We found that the derogatory elements appearing in the attorney general e-mail chains were not reflected in the work relationships of the three specific employees who have been the focus of the attorney general’s filings. On the contrary, the employers, employees, and colleagues with whom we spoke – and who included both women and blacks – described these employees as hard- working, dedicated prosecutors who were never disrespectful to them as females or minorities. Finally, I have spoken to the employees in question myself, face to face. I believe they have regret and remorse for the conduct of which they were a part. They recognize that the e-mail chains in which they participated were demeaning, unprofessional, and wrong. In an ordinary situation, I would not publicly discuss these matters of employee conduct, but I recognize that we are not in an ordinary situation. So, I have described our process and conclusions, but will not broach the confidentiality of internal deliberations and discussions. Under all the circumstances, I have chosen awareness and education over termination and am directing these employees to attend sensitivity training. Insensitivity often has its genesis in unfamiliarity. That’s why diversity is so important. I have worked to make sure that my office reflects the diversity of the city we serve. We have strong human relations policies, more African- American attorneys than any law firm in the Commonwealth, and as many women as men both in the ranks and in leadership positions. In the year 2015, the times of winking at racism, sexism, or homophobia are over. On my watch, I won’t tolerate it.